A role reversal has occurred in this world as China is quickly surpassing the US in the innovative and economic world. With its increasing wealth, China is expanding its existence throughout the world. The video outlines the challenges America faced as President Obama took office at the height of the worst recession in almost a century and details the progress that has been made reclaiming the security of the middle class and building an economy that’s meant to last, where hard work pays and responsibility is rewarded. 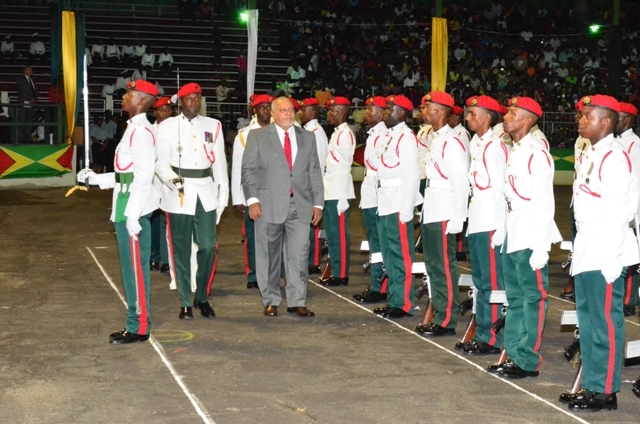 President Donald Ramotar this evening stated that he is committed to working with all those who are interested in moving the country forward; noting that Guyanese would like to see all stakeholders working together, which was a dream at independence and today is a major national aspiration. He said Guyana can achieve the great potential that is often spoken about with political will and trust, and noted that while the 2011 National elections have created new challenges to all the leaders, it is a time to show maturity and to put the interest of the country and people ahead of narrow self-interests. Where are businesses in Caribbean business? The countries of the Caribbean Community and Common Market (CARICOM), with the exception of Guyana and Suriname, are each experiencing severe decline in their economies. The small Leeward and Windward Islands are worst affected, and so too is Barbados. Governments are struggling to find ways in which to spur economic activity that could produce growth. Meanwhile, unemployment and poverty are growing. Unemployment is highest amongst the youth, making for an alarming situation. Presenting a lecture to students of the University of the West Indies recently, I received the greatest applause and nods of approval, when I lamented the fact that there were now many graduates of the University who were unable to find jobs that correspond to their level of qualifications, if they could find any jobs at all.